Balance is an art. One that I haven't yet mastered, but I'm working really hard at doing so. Because there are so many choices to make, something always has to be left undone. Our book is coming out in just four days, which means I've been so excited about preparing for the launch that I didn't even notice we totally ran out of toilet paper. I'm also falling behind on emails and desk work because there have been several extra events this week. We had a birthday party for Spencer on Wednesday. and it was precious. Look at that little smile of his and the all those party hats. Oh, I love those kids. Ethan was sad that he didn't win, but we cheered on the other boys, and we came home with all kinds of ideas for making his boat faster next year. My sister Linda came to visit from Seattle on Friday afternoon, so my brother Robert, my parents, and I spent Friday afternoon talking and singing around the piano. Eric and I went to our friends' home for dinner and ice cream last night, and today I got to speak at the Little Penelope Lane Boutique/Blog Conference (It was fabulous! More on that later). Then tonight our church had a wonderful conference for all the women (which was such a treat). Life is good, and things are going great overall, but every single time I make a choice to spend my time doing something "extra," something else has to give. I'm learning to be okay with that, but goodness, it's hard. 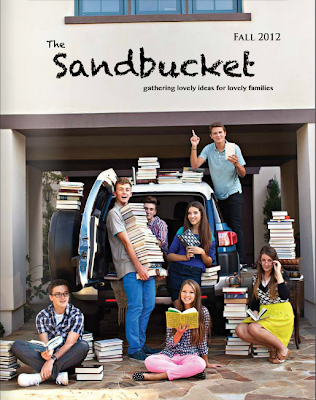 There's a brand new magazine called The Sandbucket, and it is simply beautiful. They asked me to write an article about balance for their Fall issue, and it just came out this week. I'll pick the winner Tuesday night at 8pm Pacific Time. Your comment can simply say, "I want to win!" or you can share a tip about how YOU balance. Because isn't that the goal we're all trying to reach? This past Tuesday, I had the privilege of visiting the David Allen Company in Ojai, California. If you're not yet familiar with the name, David Allen wrote an incredible book in 2001 called Getting Things Done, which, quite literally, is the key to stress-free productivity. It's the book that changed my entire way of organizing . . . and enabled me to finally enjoy my family while getting more projects and tasks accomplished--in less time. I loved the book so much that I spent more than 1,000 hours developing a program for mothers based on the principles of GTD. That's what we call Mind Organization for Moms at The Power of Moms. And over the past few years, I've been teaching workshops on the process and providing online coaching to thousands of mothers on how to apply this system to their homes and families. This is the fantastic new CEO of the company, Mike Williams (who recently transitioned from his role as a Senior Business Leader for GE Healthcare), and the extraordinary Marian Bateman, who has worked with David Allen from the beginning and is now responsible for overseeing GTD Solutions for Individuals. (I just read this post about how she helped an editor at Business Week get organized, and I am continually impressed with the excellent work being done.) We also got to talk with Meg Edwards, a key presenter and coach, who joined us via video-cam from Maine, and after hearing her voice on so many webinars and podcasts, it was a thrill to talk with her face to face. We gathered in Mike's office and had a great visit. I got to hear more about what they're doing in their company, get a sense for where they're planning to go with it, and share a bit about the work I'm doing at The Power of Moms. I also had the chance to tell them how revolutionary their work has been in my life, and I explained how the mothers of the world are hungry for this. They said that they like to meet new people and feel of their energy for the system because it reminds them what a jewel they have. So many people are struggling every day with endless to-do lists, overwhelming projects, and piles of paper and "stuff" on every surface. There are too many pointless meetings, too much time wasted on the computer, and too many families that are literally falling apart because they can't withstand the pressure. The David Allen Company has practical, effective, proven solutions to help people get out of this mess in a simple, elegant way. That is why I am totally on board. This company strengthens families. There are hundreds of thousands (if not more) GTD-ers out there--enthusiasts for the work who are excited to share it, teach it, and live it. Everyone applies the principles in their own unique way. Mike describes it as "an art." I consider myself very fortunate to know about this company, to have a platform from which I can teach it to others, and to be acquainted with such a powerful group of others who feel the same way. After the meeting, Mike was kind enough to take me on a tour of the office, and he was gracious enough to let me take pictures of just about everything. This is their warehouse/shipping center, and Bettina and Alex do a great job receiving all the orders and getting them out to all the excited customers waiting to transform their lives. I LOVED this room. It's where they record their audio downloads, and when you put your head into that box, the sound quality is amazing. I asked Eric if he would build one of those for me in my office, and he said, "Sure!" I have the GTD Workflow Map printed out, but now I have a HUGE one to hang on my wall and admire (Thanks, Mike!). The ideas here are transforming. Please, if you haven't looked into this system, it is a MUST. You will thank me forever for telling you about it. After the office tour, I said goodbye to my new friends and stopped at this darling cafe, Agave Maria's) for lunch. That town is so quaint, so gorgeous, and so friendly. I was just waving and smiling at everyone, and they would wave and smile back. But then I needed to put my camera down and get on my way so I could get back to my husband and children who wanted to hear all about my day. I am honestly so grateful for people who live their lives purposely, who create websites and programs and resources for those who are looking for hope and leadership. That's the kind of person I want to be, and I am absolutely thrilled to have such fine examples as Mike, Marian, and Meg. Last Tuesday afternoon (has it already been a WEEK? ), Spencer and I took a little nap together. When we woke up, Eric was sitting in our office. "Have a seat." he said. "But I was going to go start dinner." I replied. "Dinner can wait a second." "Is there something in particular you want to talk about?" So I sat down (a little grumpy), and he handed me a large envelope addressed to me. I squealed. I ripped open the package. 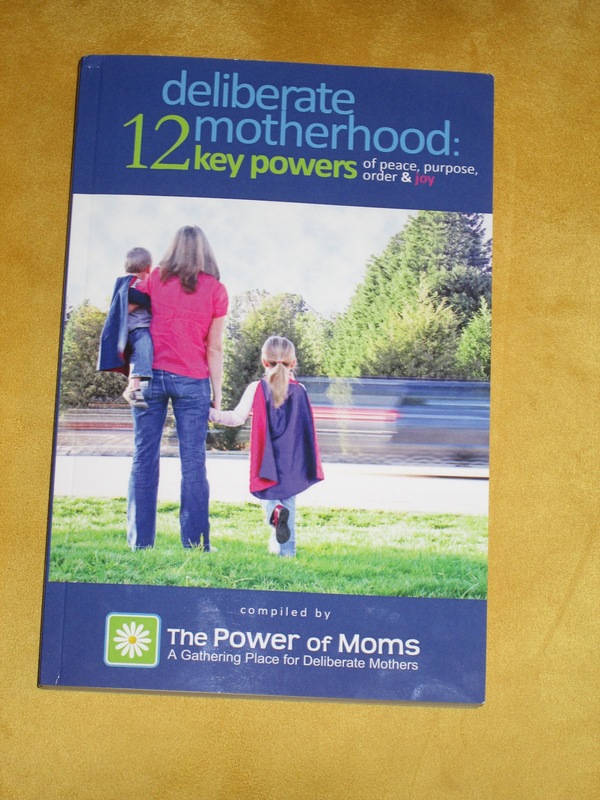 It's the book we've been working on at The Power of Moms for the past two years. And the proof finally arrived! 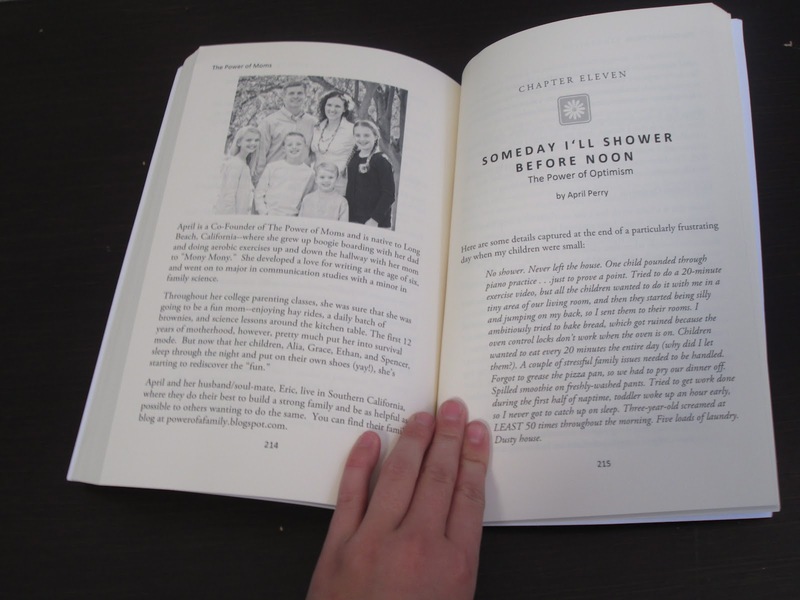 Eric was teasing me, "So you finally publish a book, and your chapter is called 'Someday I'll Shower Before Noon'?" Grace set the table with matching plates (we don't usually do that), added place cards, and made our family dinner time into a book celebration. Then she made a sign that said, "Story Time" and posted it in our family room. The children were so cute. They sat nicely during the serious parts and laughed at all the funny parts. I'm very grateful to our entire team. This book is the product of more than a thousand hours of work (that's a very modest guess), and I can't wait to launch it next week. This past Saturday, I held a Power of Moms Workshop at my home, and I feel so grateful to have had such a fabulous group of ladies in attendance. 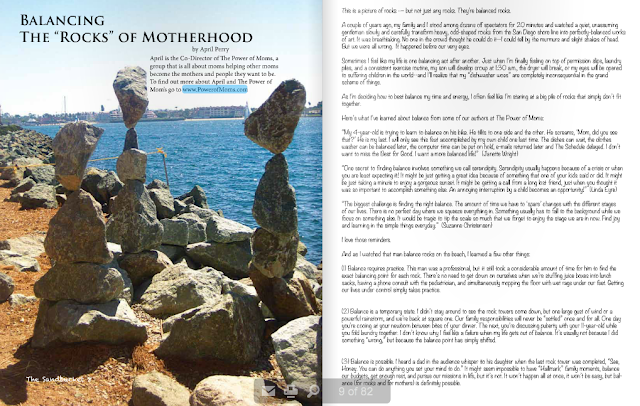 They even researched how to say "The Power of Moms" and "Mom" in several different languages using Google Translate. SO cute. We have the Power of Moms daisy logo on just about everything in our house. The girls are getting really good at making it--including all 12 petals that represent our Power of the Month program. Eric took the boys out for the day, and Grace and Alia helped me get all set up. Trying to get this huge banner to hang straight was a little tricky, but the girls convinced me that no one would care if it was a little bit crooked. For those who aren't yet familiar with our Mind Organization for Moms program, it's a mom-specific adaptation of David Allen's bestseller, Getting Things Done. He has put together an amazing system, and I've just helped "translate it" into a version that works for mothers. Alia looked through all her Pinterest boards to find something clever to do with the snacks. Grace wanted to personalize everyone's cup. And one mom brought the most darling baby. Alia was thrilled to be able to help out a bit during the workshop. It was so fun to go around the room and hear how each person found out about The Power of Moms. Some had heard about us through Facebook or guest posts on other blogs. One mom had been visiting her sister-in-law and commented on how she loved the feel in her home. She said that they had everything really organized, their children had great routines set up, and the family had fun traditions established. When she asked her sister-in-law how she knew how to be such a good mom, she responded, "Oh, it's all online at The Power of Moms!" That made me smile. Then, on the nine-hour drive home from visiting her sister-in-law, she read article after article on The Power of Moms website . . . for pretty much the whole trip. Her husband asked what she was doing on her phone, and she responded, "Reading!!" 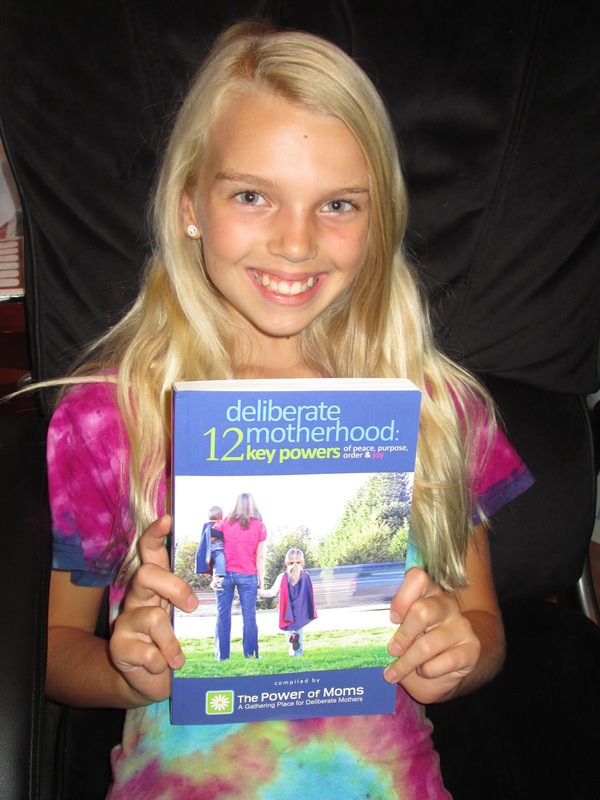 And now she's helping to share The Power of Moms in her own area. That story made my day. We went through the specifics of the program, practiced project-planning, ate our snacks that Alia had prepared, went through a Q&A session, and then finished up with a take-home sheet where each attendee outlined how she would implement the program once she returned home. These moms are good, good women. They want to enjoy their families, get their paperwork under control, and be able to be "in the moment." I'm so excited for them. We went to Panera for lunch afterward and just had some time to talk. I felt like I got to have a "Learning Circle" for a day, and I wished that we could all just get together once a month to catch up. I'm not quite sure when my next session at my house will be, but if you'd like to attend a Power of Moms Retreat or Workshop, be sure to check our list of upcoming events. Online interaction is great in so many ways, but it's kind of lonely. Being with others--especially with other deliberate moms--is life-changing. Thanks to all the wonderful moms (and to my sweet, supportive family) who made this day possible. Do you ever feel like you’re sprinting around simply dealing with one “sticky point” after another? I’m not just talking about the literal stickiness . . . like orange juice on the kitchen tile or jelly smeared through someone’s hair. I’m talking about the behind-the-scenes problems that prevent you from accomplishing what matters most – the “little things” that frustrate you and keep you from enjoying the moments with your family. Maybe your son’s globe nightlight needs a new bulb, and he complains about how much he misses it every time you try to sing lullabies. Perhaps the door on the clothes dryer keeps popping open, so every time you run a load through, you have to stack heavy boxes in front of the machine, which then impedes the flow of traffic coming in from the garage. Maybe you’re totally out of plastic spoons, so your children keep taking “real” ones to school in their lunch boxes. And what ends up happening is that we get so busy with the daily routines and trying to keep our heads above water that we put off taking care of these relatively easy-to-handle “sticky” points. I'm guest posting on Simple Mom today, so if you'd like to read the rest, please click here! As soon as I had my first child, I zipped over to the library to check out every book on motherhood that I could find. 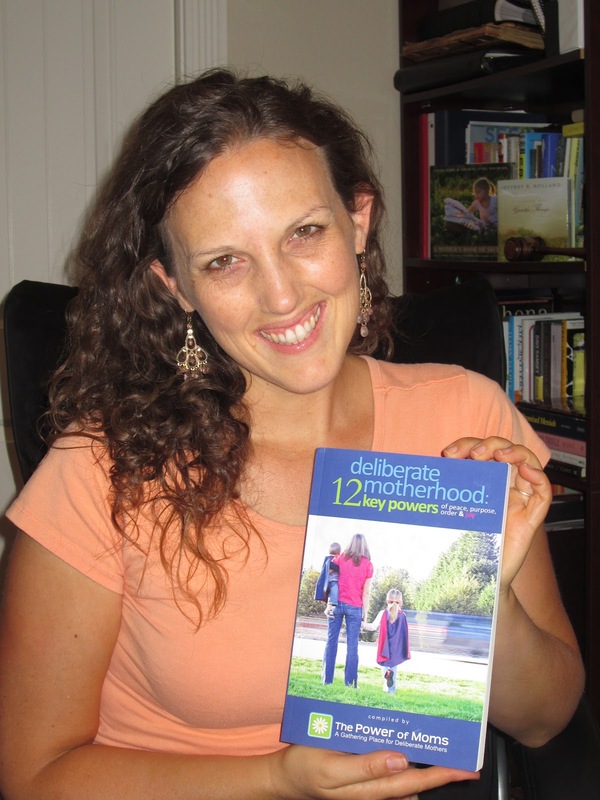 There were lots of helpful hints on housework, organization, and child development, but I couldn’t find the one book I was looking for–the one that would show me how beautiful and exciting motherhood could be. The one that would help me to know that I wasn’t alone in all the struggles I was having. After months of searching, I found Linda Eyre’s A Joyful Mother of Children at a bookstore. Our budget was so tight that I didn’t think we could afford it, so I sat tucked in a corner for twenty minutes, speed-reading the book while my husband chased our toddler around the store. Seeing the look on my face as I absorbed Linda’s words, my husband asked, “Do you want to buy this?” Surprised, I looked up at him through watery eyes, paused to consider how much money I needed to buy groceries, and simply nodded. We went home with the book. It changed my life. And then I had the privilege of meeting Linda, and she introduced me to her daughter Saren. Before we knew it, we were partners in The Power of Moms. Sometimes I sit and reflect on events like this, and I wish I could go back and tell my former self that everything was going to be okay. And then I'm pretty sure that my future self would want to say the same thing to me. I went running this morning, and I did my best to take long, deep breaths. Things are moving rapidly right now--so rapidly that I have to dig in my heels and skid to a stop in order to eat, sleep, exercise, and draw close to God. But there is so much beauty happening along the way that I'm aching to record. For the time being, I just have blog drafts, scribbled notes in my planner, and photos saved to special folders on my computer. They're waiting for when the time is right. 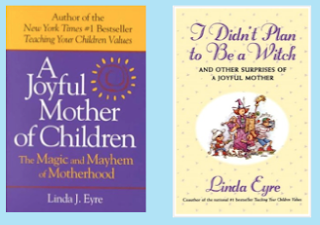 We're doing a giveaway of two of Linda Eyre's books right now at The Power of Moms. If you'd like to read "A Joyful Mother of Children" and my other favorite of hers, "I Didn't Plan to Be a Witch," simply click on this image below. I know you'll love them as much as I do.